The Strozzi have a long, distinguished and well-known history in Tuscany and Italy. Any synopsis of their history is sure to omit significant parts, but here is a primer on one of Florence's most well-known families. The Strozzi were originally based in Fiesole, a town situated on a hill above today's Florence. If you go to Fiesole you will see that city's arms - a single crescent below a star - which are said to have given the Strozzi their famous three crescents. Though originating in Fiesole, the family's story is centered in Florence, where they were successful bankers and military leaders. Often considered a traditional enemy of the Medici, the two families united through the marriage of Filippo Strozzi and Clarice de' Medici, and enjoyed some measure of peaceful relations - for a time. The Strozzi built the Palazzo Strozzi (near today's Piazza della Repubblica) after the model set by the Palazzo Medici, and is a fine example of Renaissance architecture. Like most powerful Florentine families the Strozzi were at times exiled from the city, and as a result the family started many branches in other Italian cities. 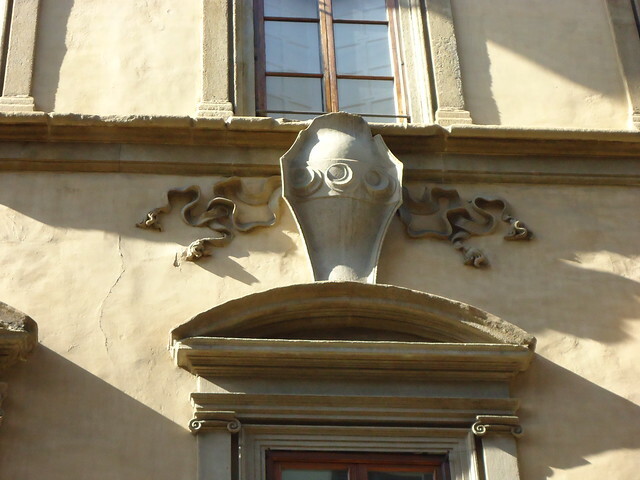 So, as you travel around Italy don't be surprised if you see the three crescents of the Strozzi in Rome, Naples and Venice, to name a few.